Angela Thirkell (1890 - 1961) wrote over 30 novels, mostly set in Barsetshire a century or so after Trollope, which were immensely popular in the mid-20th century. 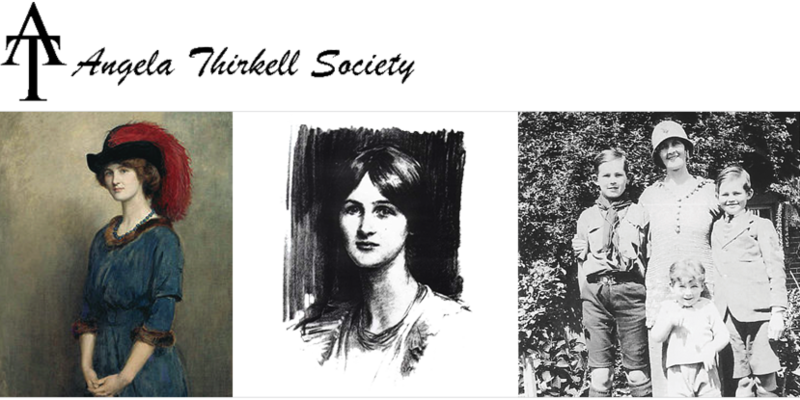 The Angela Thirkell Society is based in the UK, with a thriving North American branch and members in Australia, New Zealand, and several European countries, notably Ireland, where it was founded by Mrs Diana McFarlan of Dublin in 1980. Enthusiasts in the Americas should visit www.angelathirkell.org to see information about our North American branch.